Reports have suggested that RIM could well be releasing two new BlackBerry PlayBook tablets later this year featuring the much-awaited OS update, PlayBook OS 2.0. A well-known BlackBerry news site N4BB has reported that sources have come to them with information essentially giving a breakdown of RIM's plan for the next year. 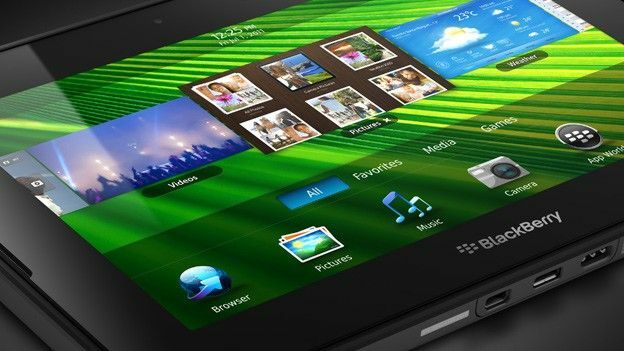 This includes the possible release of a BlackBerry PlayBook 2 and a later released 10-inch model. According to the sources the 7-inch PlayBook would feature PlayBook OS 2.0 and would come 3G-enabled, it's also reported that it would most likely be showing up in April of this year. The larger 10-inch tablet will allegedly have LTE and be released much later with a Decemeber 2012 release date pegged. It finally suggests that the first Blackberry 10 handset would be launching in September 2012. It's important however to take all of this with a pinch of salt, with no confirmed sources and not a peep out of RIM and BlackBerry it could be a while before anything is confirmed.